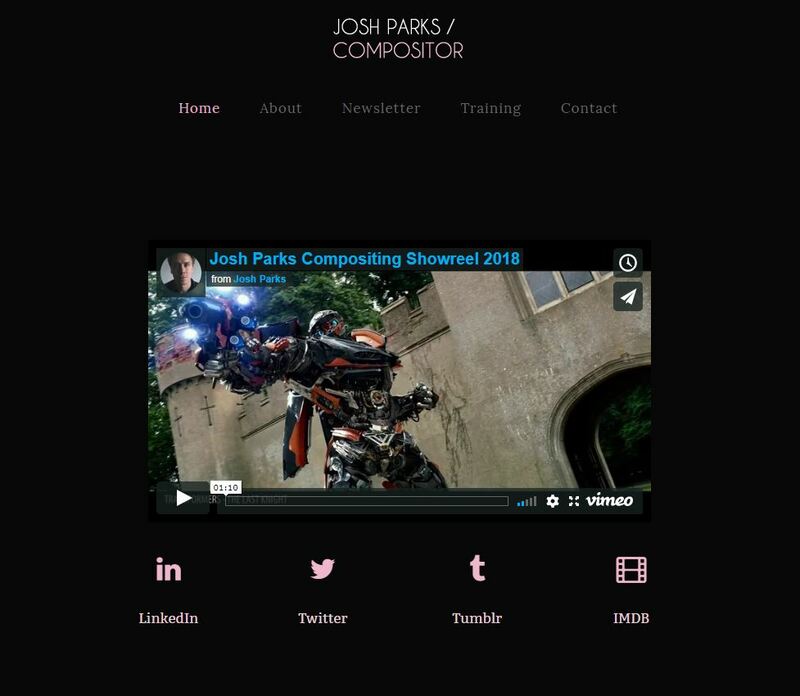 In your nuke compositing life you’ll deal with roto (rotoscoping) the art of masking something, either by doing it yourself in Nuke or receiving a matte from other people to use whilst compositing a shot. Most people aren’t sure how to check whether their roto is good, or how to show it off in a compositing/roto showreel, too often I see a wipe to the black and white matte, telling me nothing about whether the roto is masking the thing it’s supposed to. The best way to check or show off your roto work in Nuke is to overlay your image with a constant colour, then masking this with your rotoscope matte, in order to keep the area you’ve rotoscoped clear of the colour. We used to use this technique at MPC when checking the rotoscope mattes we received and I still use it now. It’s incredibly effective at quickly showing you if your rotoscope is masking what it should. 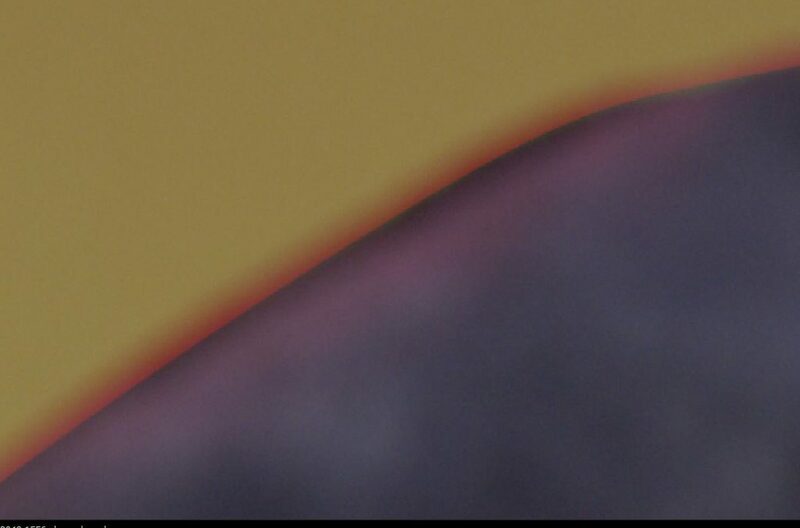 I’ve found a purple colour can be pretty forgiving and potentially make your roto look better than it is, so I would go with pink or solid red, as this will be generally be the least flattering to your rotoscope matte. We’re going to use this to place our constant over our plate in Nuke. Now you have your nodes in your Nuke project let’s hook it all up. 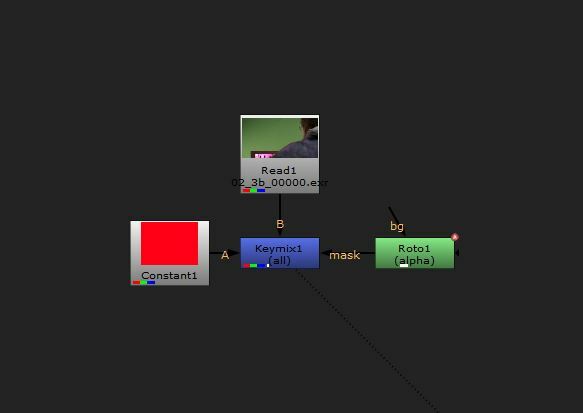 Plug your roto node with your splines or pre rendered rotoscope matte into the mask arrow on your keymix. Then the constant and original plate into your a and b pipe. Now set your constant node to a solid red colour. What mistakes in your rotoscope matte are you looking for? Edges where the colour is creeping into your original image, this will give you a dark coloured edge, that signals your roto is off. With a really defocussed image dark edges are inevitable, but you need to check that the roto is to the hard edge before the fall off.